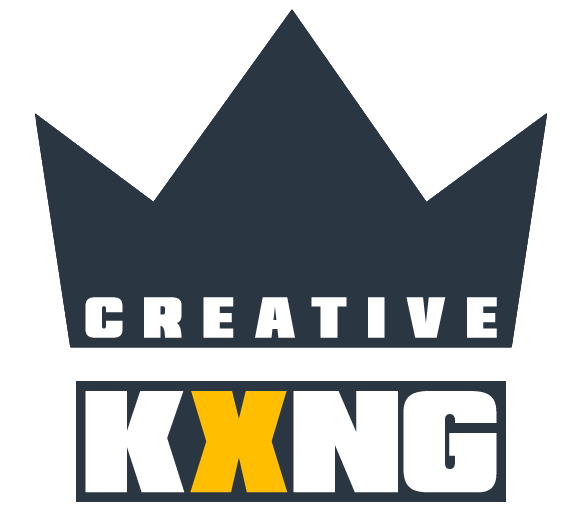 Creative KXNG owns and operate this Website (https://creativekxng.com/). This document governs your relationship with Creative KXNG. Access to and use of this Website and the products and services available through this Website (collectively, the “Services”) are subject to the following terms, conditions and notices (the “Terms of Service”). By using the Services, you are agreeing to all of the Terms of Service, as may be updated by us from time to time. You should check this page regularly to take notice of any changes we may have made to the Terms of Service. Charges for services to be provided by Creative KXNG are defined in the project quotation that the Client receives via email. Quotations are valid for a period of twenty eight (28) days. Creative KXNG reserves the right to alter or decline to provide a quotation after expiry of the twenty eight (28) days. Unless agreed otherwise with the Client, all website design services require an advance payment of fifty percent (50%) of the project quotation total before any work is started or supplied to the Client for review. The remaining fifty percent (50%) is required after the development stage, with any remaining due upon completion of the work, prior to upload to the server or release of materials. NOTE: When you purchase a website from Creative KXNG you have twenty eight (28) days worth of unlimited design hours from the project start date. We allow every project twenty eight (28) days so that our clients can make alterations and fix any problems. All work carried out by Creative KXNG will be done as quickly as possible to minimise any cost to the client. We want you to know any work being carried out on your behalf will be done correctly and to our best ability. In some circumstances the work we’ve been tasked to do can take a little extra time but in these situations we will always notify you. Creative KXNG will provide the Client with an opportunity to review the appearance and content of the website during the design phase and once the overall website development is completed. At the completion of the project, such materials will be deemed to be accepted and approved unless the Client notifies Creative KXNG otherwise within twenty eight (28) days of the date the materials are made available to the Client. Creative KXNG will install and publicly post or supply the Client’s website by the date specified in the project proposal, or at date agreed with Client upon Creative KXNG receiving initial payment, unless a delay is specifically requested by the Client and agreed by Creative KXNG. In return, the Client agrees to delegate a single individual as a primary contact to aid Creative KXNG with progressing the commission in a satisfactory and expedient manner. During the project, Creative KXNG will require the Client to provide website content; text, images, movies and sound files. Creative KXNG is a small business, to remain efficient we must ensure that any work we have programmed is carried out at the scheduled time. On occasions we may have to reject offers for other work and enquiries to ensure that your work is completed at the time arranged. Invoices will be provided by Creative KXNG upon completion but before publishing the live website. Invoices are normally sent via email; however, the Client may choose to receive hard copy invoices. Invoices are due upon receipt. Accounts that remain unpaid twenty eight (28) days after the date of the invoice will be assessed a service charge in the amount of the higher of one and one-half percent (1.5%) or £30 per month of the total amount due. Client agrees to reimburse Creative KXNG for any additional expenses necessary for the completion of the work. Examples would be purchase of special fonts, stock photography etc. Creative KXNG makes every effort to ensure websites are designed to be viewed by the majority of visitors. Websites are designed to work with the most popular current browsers (e.g. Firefox, Internet Explorer 8 & 9, Google Chrome, etc.). Client agrees that Creative KXNG cannot guarantee correct functionality with all browser software across different operating systems. Creative KXNG cannot accept responsibility for web pages which do not display acceptably in new versions of browsers released after the website have been designed and handed over to the Client. As such, Creative KXNG reserves the right to quote for any work involved in changing the website design or website code for it to work with updated browser software. Accounts unpaid twenty eight (28) days after the date of invoice will be considered in default. If the Client in default maintains any information or files on Creative KXNG’s Web space, Creative KXNG will, at its discretion, remove all such material from its web space. Creative KXNG is not responsible for any loss of data incurred due to the removal of the service. Removal of such material does not relieve the Client of the obligation to pay any outstanding charges assessed to the Client’s account. Cheques returned for insufficient funds will be assessed a return charge of £25 and the Client’s account will immediately be considered to be in default until full payment is received. Clients with accounts in default agree to pay Creative KXNG reasonable expenses, including legal fees and costs for collection by third-party agencies, incurred by Creative KXNG in enforcing these Terms and Conditions. Termination of services by the Client must be requested in a written notice and will be effective on receipt of such notice. Email or telephone requests for termination of services will not be honoured until and unless confirmed in writing. The Client will be invoiced for design work completed to the date of first notice of cancellation for payment in full within twenty eight (28) days. All Creative KXNG services may be used for lawful purposes only. You agree to indemnify and hold Creative KXNG harmless from any claims resulting from your use of our service that damages you or any other party. The Client retains the copyright to data, files and graphic logos provided by the Client, and grants Creative KXNG the rights to publish and use such material. The Client must obtain permission and rights to use any information or files that are copyrighted by a third party. The Client is further responsible for granting Creative KXNG permission and rights for use of the same and agrees to indemnify and hold harmless Creative KXNG from any and all claims resulting from the Client’s negligence or inability to obtain proper copyright permissions. A contract for website design and/or placement shall be regarded as a guarantee by the Client to Creative KXNG that all such permissions and authorities have been obtained. Evidence of permissions and authorities may be requested. Unless otherwise specified in the project quotation, this Agreement assumes that any text will be provided by the Client in electronic format (ASCII text files delivered on floppy disk or via email or FTP) and that all photographs and other graphics will be provided physically in high quality print suitable for scanning or electronically in .gif, .jpeg, .png or .tiff format. Although every reasonable attempt shall be made by Creative KXNG to return to the Client any images or printed material provided for use in creation of the Client’s website, such return cannot be guaranteed. A link to Creative KXNG will appear in either small type or by a small graphic at the bottom of the Client’s website. If a graphic is used, it will be designed to fit in with the overall site design. If a client requests that the design credit be removed, a nominal fee of 10% of the total development charges will be applied. When total development charges are less than £5000, a fixed fee of £500 will be applied. The Client also agrees that the website developed for the Client may be presented in Creative KXNG’s portfolio. If the Client’s website is to be installed on a third-party server, Creative KXNG must be granted temporary read/write access to the Client’s storage directories which must be accessible via FTP. Depending on the specific nature of the project, other resources might also need to be configured on the server. Creative KXNG cannot accept responsibility for any alterations caused by a third party occurring to the Client’s pages once installed. Such alterations include, but are not limited to additions, modifications or deletions. Creative KXNG may purchase domain names on behalf of the Client. Payment and renewal of those domain names is the responsibility of the Client. The loss, cancellation or otherwise of the domain brought about by non or late payment is not the responsibility of Creative KXNG. The Client should keep a record of the due dates for payment to ensure that payment is received in good time. These Terms shall be governed by the law of Wales & England within the United Kingdom and is subject to the exclusive jurisdiction of the courts of Wales without regard to its conflict of law provisions. The entire liability of Creative KXNG to the Client in respect of any claim whatsoever or breach of this Agreement, whether or not arising out of negligence, shall be limited to the charges paid for the Services under this Agreement in respect of which the breach has arisen. Tags Abergavenny, Bargoed, Blaenavon, Blackwood, Blaina, Brynmawr, Caerphilly, Cardiff, Crickhowell, Crosskeys, Cwmbran, Ebbw Vale, Gilwern, Merthyr, Newbridge, Newport, Pontypool, Risca, Tredegar.